This topic contains 3 replies, has 2 voices, and was last updated by Alan Brinton 5 months ago. The Angel Musical Instrument Company is a Korean company founded in 1955. Its Melodyhorn (or “Melodihorn) melodicas were originally manufactured in South Korea. The Angel Melodyhorn AM-37KE I recently acquired, however, was made in China. Angel still (or until recently) produces two cheaper looking 37 key models, the AM-P37 and the AM-N37. I have no idea of the dating of the AM-37KE, but it’s not hard to find on eBay in roughly the $30-60 (U.S) price range. Mine arrived a few days ago. 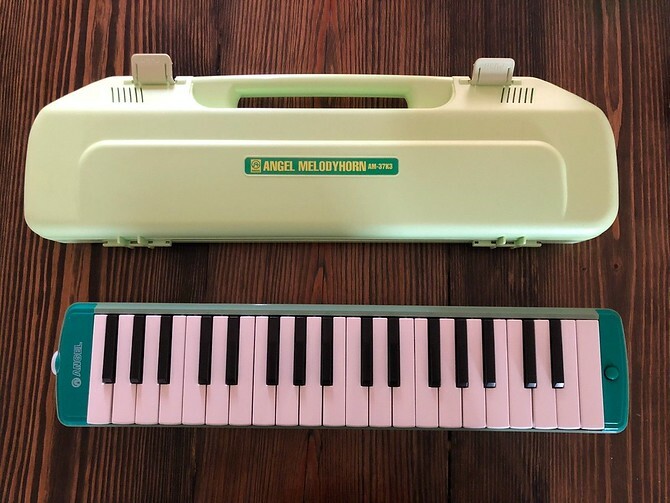 I was immediately impressed by the sound and feel of it and by its similarity to a Yamaha P-37 Pianica, although the sound of the Angel is more muted. To me, it actually sounds more like the new “Adult” Yamaha P-37E. Today I have taken it apart and made more detailed comparisons. Its weight is within a few grams of that of the P-37D. Notice the yellowish patch on the left end. Is is a piece of rubber, a bladder situated at the low end that expands and contracts as one plays. 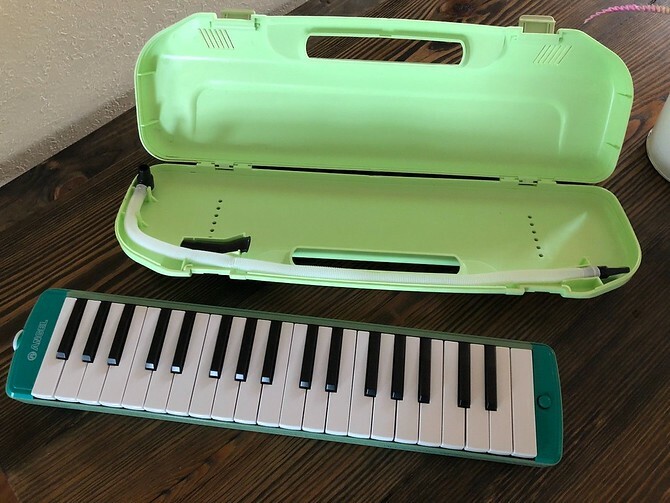 Bass melodicas have a much larger bladder; The Suzuki A-34 Melodion has a small one like this, similarly located. 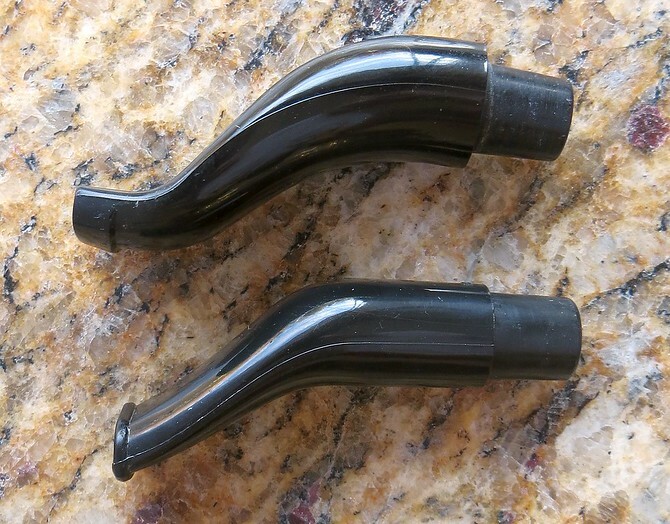 It serves as a kind of air pressure buffer for the notes at the low end. 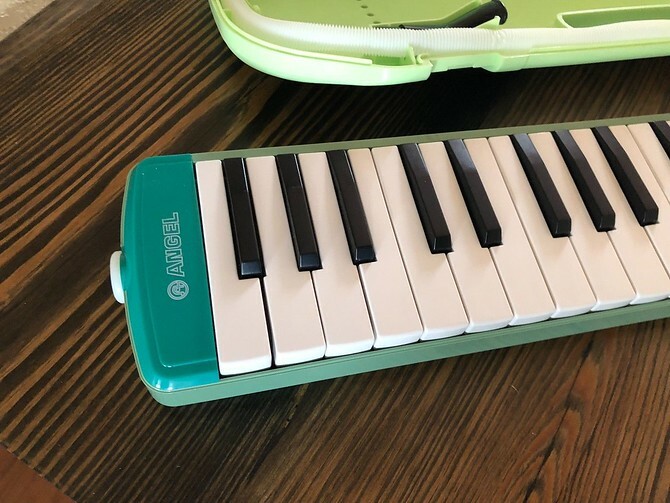 The photos in the Melodica World Reviews entry for the Angel Melodyhorn 37 are of the AMEX-37K. It looks the same as my AM-37K3, except that it’s blue rather than green. These two photos show the works of the AM-37K3 sitting in the tray of the P-37D. Here now is a view of the springs of the Angel in comparison with those of the P-37E (which are the same as those of the P-37D). 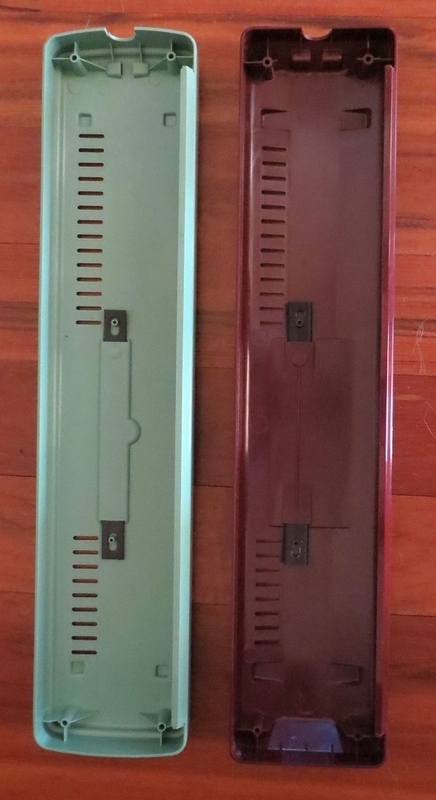 The comparison here is with the reed plates of the P-37E, since that’s what I had handy. The plates and reeds are the same on the P-37D and P-37E. 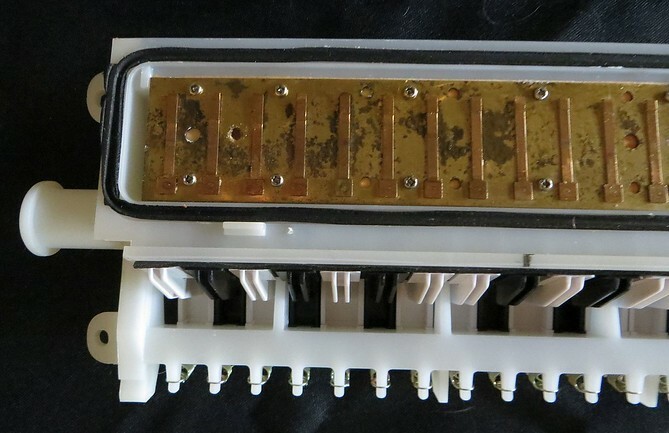 The Yamaha plates and reeds are a shinier gold in color and obviously much more resistant to discoloration and corrosion than those of the Angel. 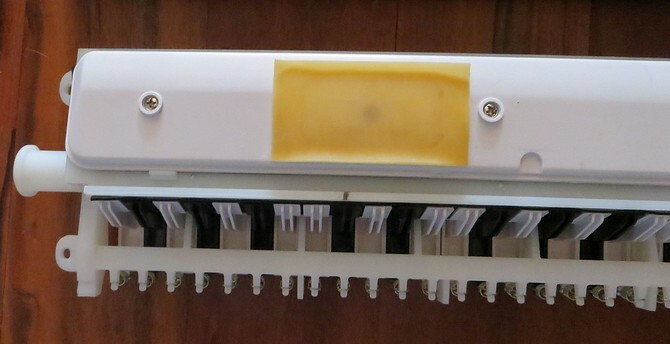 But if you like the sound, look, and feel of the Melodyhorn, as I do, it looks as though its reed plates could be easily replaced with genuine Yamaha stock plates, with the expectation that this would make the sound even better. I may very well do this. 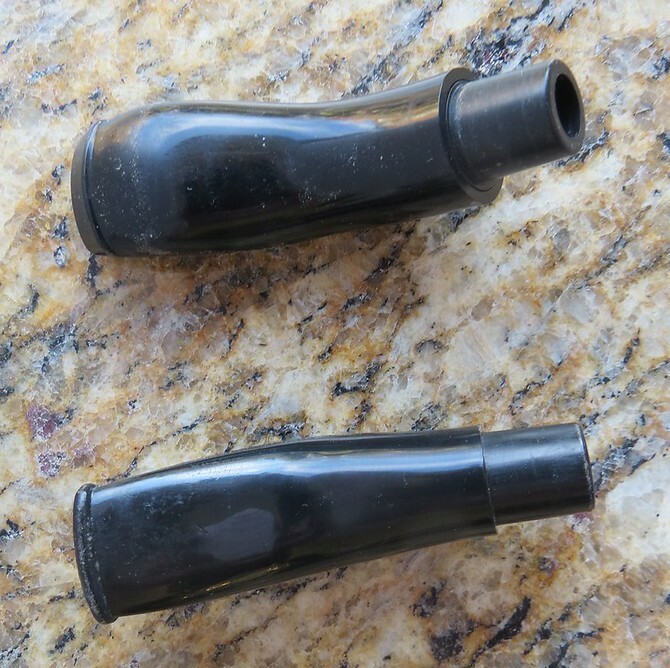 The mouthpiece of the Angel and the Yamaha differ slightly, but they are interchangeable. Thanks Alan, fascinating. The melody horn was my favourite instrument when I first started playing the instrument. It has quite a characterful warm sound, great for folk music. 2. 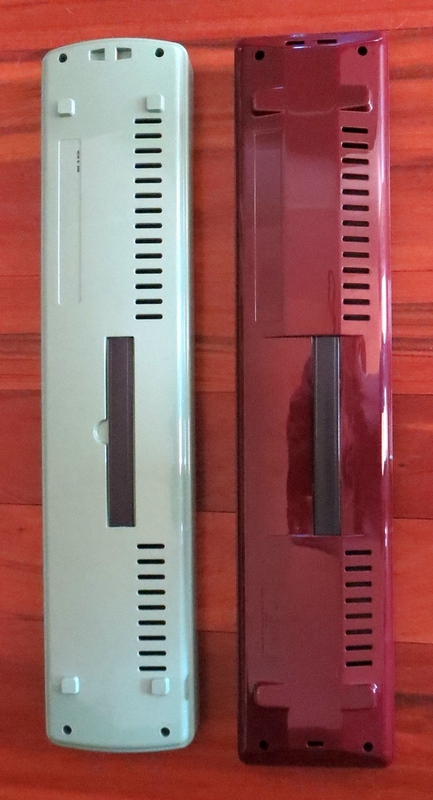 The green plastic tray is the one respect in which the AM-37K3 is superior to the Yamaha P-37D, slightly heavier and (I’m guessing) more sound absorbent, like the tray of the new P-37E. 4. I don’t think the 37 key Melodyhorn looks or feels like a toy, but its carrying case is really ugly. But it will fit in a P-37D carrying case. 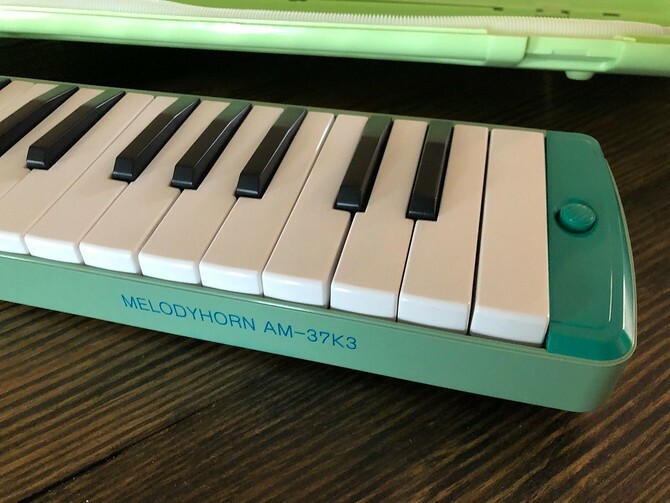 I expect that my Angel Melodyhorn will be getting as much playing time as any of my other 37 key melodicas, probably more.